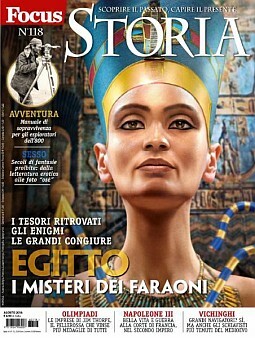 The Amarna:3D project has been featured in a number of magazines and documentaries dating as far back as 2003. 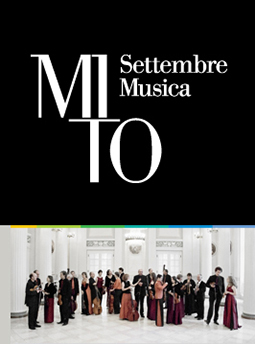 This page showcases the official publications. There are a few still pending where the permissions have been granted for use but I am awaiting publication information in order to record it accurately here. There have been a number of unofficial uses of the work but if I have been credited ( P.Docherty, www.amarna3d.com ) and it is for non-profit then there is no problem. However I would appreciate being contacted so I can add a link to this site if appropriate. If anyone would like to use my work for publication or commission a variation / special edition of the work presented on this site please get in touch through the contact forms located throughout the website. The project is very big with many more models still being developed and not showcased as yet so please do get in touch if you have any queries. Docherty, P. (2017) ‘View over the Great Aten Temple at Sunrise’ [3D reconstruction], in Laatch, K. (2017) ‘DIE TEMPEL VON ACHET-ATON. 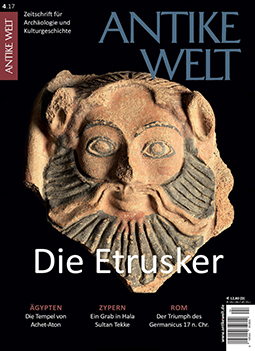 Altägyptische Sakralarchitektur der Amarna-Zeit’, Antike Welt, issue 4/17. A moody aerial view of the Great Aten Temple at sunrise. 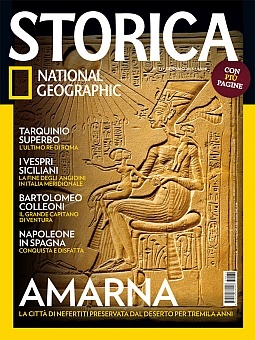 Docherty, P. (2016) ‘Ricostruzione della città di Amarna, l’antica Akhetaton’, in ‘La Ciità del Sole’, Focus Storia, Issue 118 (August), pp. 52-53. This was a double page spread of the aerial view of the city from the v.1 model, re-rendered using new settings. ‘King Tut’s Tomb: The Hidden Chamber’ (2016), Ancient Mysteries, [TV documentary] Series 1, episode 5. Channel 5, 10 February. Opera by Philip Glass. Semi-stage version. | conductor: Dante Anzolini | video direction: Luca Scarzella | set and lights: Gianni Carluccio | photos: Andrea Micheli | singers: Rupert Enticknap, Gabriella Sborgi, Valentina Valente, Giuseppe Naviglio, Mauro Borgioni, Marcello Nardis | actor: Walter Malosti | orchestra and chorus by Teatro Regio, Turin. Information on the performance can be found here and the programme can be downloaded here. The video sequence used during the performance included several images taken from both the v.1 and new version of the city. 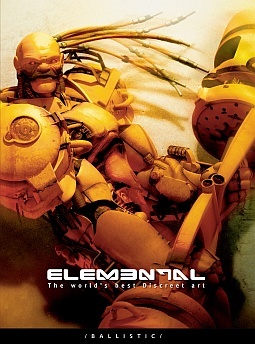 The sequence was edited by Luca Scarzella of Studio Vertov. Docherty, P. [3D digital reconstruction] in Armijo, T. (2015) ‘Il Quartiere Dei Palazzi E Dei Santuari Di Aton’, National Geographic Storica, Issue 71 (January), pp. 44-45. Tutankhamun: The Truth Uncovered (2014) [TV Special documentary] BBC, 26 October. Director: Tom Stubberfield | Host: Dallas Campbell. 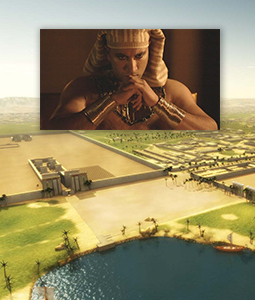 The Amarna 3D model and associated template files were used in further 3D model reconstruction work for visual effects sequences. Docherty, P. [3D digital reconstruction] in Armijo, T. (2014) ‘El Distrito De Los Palacios Y Los Santuarios De Aton’, National Geographic Historia, Issue 127 (July), pp. 42-43. Docherty, P. [3D digital reconstruction] in Rotger, A. and Gonzalvez, L. M. (2010) ‘Akhetaton La Ciutat Del Sol’, Sapiens, Descobreix La Teva Historia, Issue 93 (July), pp. 52-53. This was a double page spread of six views of the city from the v.1 model including a previously unreleased aerial angle of the city. Unfortunately, I was not credited in the magazine. They did apologise and offered to post a notice in the following issue. 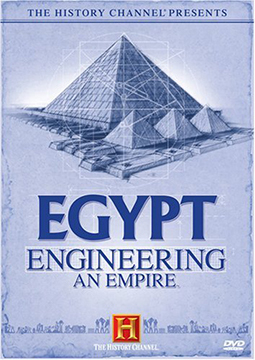 Engineering an Empire: Egypt (2006) [TV Special documentary] History Channel, 9 October. Director: Christopher Cassel | Host: Peter Weller | Experts: Zahi Hawass, Edwin C. Brock, Nigel J. Hetherington, Nasry Iskander, and Lyla Pinch-Brock. Sequence flying over the city. Engineering an Empire series received critical acclaim with the premiere “Rome” winning two Emmys after being nominated in four categories. ‘Nefertiti: The Mummy Returns’ (2005), Digging for the Truth, [TV documentary] Season 1, episode 2. History Channel, 24 January. This was a short-animated sequence flying over the city. 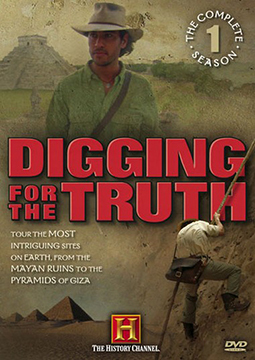 It was broadcast on the History Channel then released as part of the DVD series Digging for The Truth Season One. Docherty, P. (2004) ‘Amarna Royal Quay’, Elemental 1, Ballistic Publishing, p. 166.